In 2014 Apple acquired Beats, using its music streaming product to deliver Apple Music while continuing to sell the youth-oriented brand's headphones and Bluetooth speakers. Beats delivered Apple a complementary subsidiary brand very popular with its audience, one associated with professional musicians and sports figures. In a press release of the acquisition, Beats cofounder Jimmy Iovine said, "I've always known in my heart that Beats belonged with Apple," adding that "the idea when we started the company was inspired by Apple's unmatched ability to marry culture and technology." Aspiring to be like Apple didn't automatically make it possible for the much smaller company to develop and bring high-end products to market. It didn't matter that some audiophiles looked down on Beats' product lineup as lacking sophisticated technology and product construction; those are two things Apple could rapidly fix. After buying Beats, Apple made improvements to its Beats Pill and its wireless and wired headphones, then began work on more sophisticated enhancements. After developing a custom W1 chip to deliver highly efficient, enhanced wireless audio, Apple built it into Beats-branded headphones but saved its new W1-powered AirPods for its own branding. 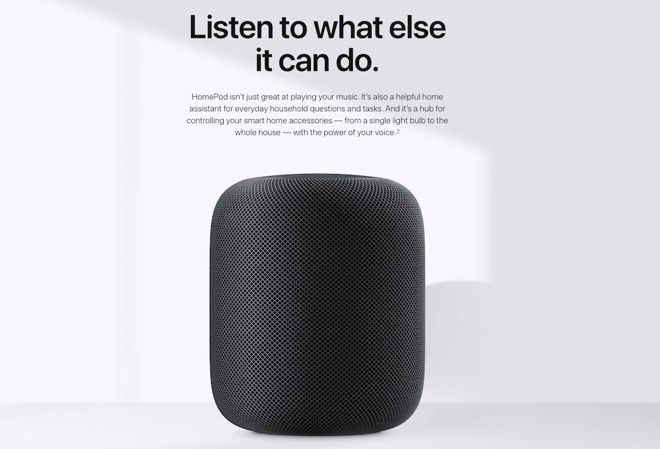 Apple is now building a home audio speaker that similarly builds off Beats Pill wireless speakers in a new direction, and is selling it under the Apple brand as HomePod--again saving the most technically advanced, wow-factor product for Apple branding. HomePod is definitely a technically advanced product, as we describe below. But that's not how the tech media introduced it. The development of HomePod isn't at all like what happened at Amazon in parallel (which released its first Alexa-powered Echo appliance the same year Apple acquired Beats). Amazon needed its Alexa voice service to work from a home "smart speaker" appliance because its strategy to deliver the 2014 Fire smartphone failed miserably. Its Kindle ebook reader had grown popular among fans, but never became the mass market "iPod of Books" that it aimed to be. 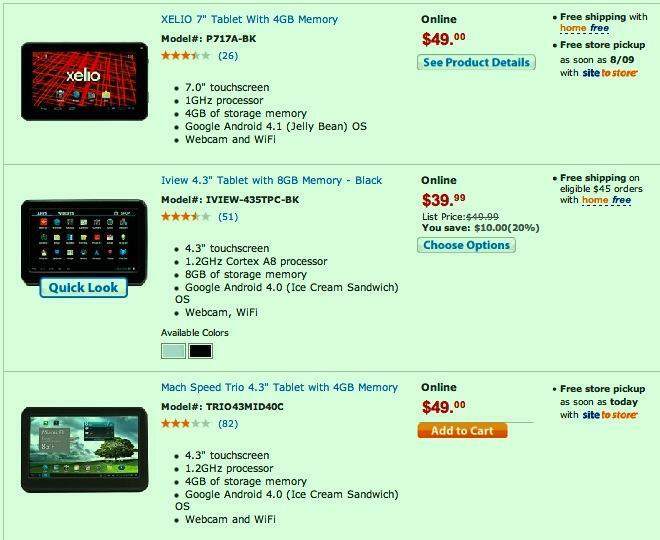 Kindle Fire tablets are constrained by the problems of Android on tablets, and similarly never achieved much of an important platform for reaching users. Rather than being the phenomenal, exciting new product category launch that pundits love to praise, the Alexa-powered Echo is Amazon's salvaged booby prize for failing in smartphones: a few million units sold at low margin, versus the tens of millions of smartphones other Android licensees have been able to sell (or the hundreds of millions of high-margin iPhones Apple has been selling each year). 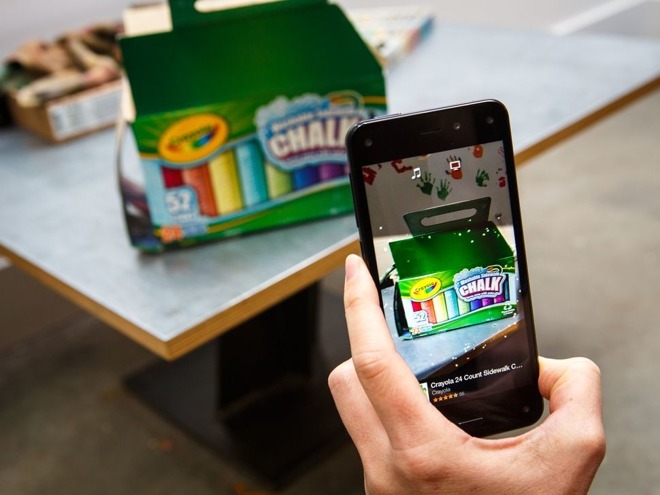 As with Facebook in social networking, Microsoft in Office apps and Google in search, Amazon has superior marketplace savvy that goes beyond anything Apple has done. However, all these companies have failed spectacularly in their own attempts to do what Apple has been good at: selling premium hardware to massive numbers of affluent customers. They've all begrudgingly had to swallow hard and bring their best work to iOS to get it in front of their most valuable potential customers. Amazon's focus on generating new online sales with Echo and related Alexa-based hardware is evident from the fact that it requires setup with your Amazon account (imagine if you couldn't use your iPod, Mac or iOS device at all without setting up iCloud with your Apple ID). Google's Home is a straight up knock off of Echo, designed to counter the threat of Amazon reaching audiences of online buyers before they ever think to search Google. Like Amazon, Google has developed impressive voice based search technology. Also like Amazon, Google did this with the intent of selling its own Nexus and then Pixel phone hardware, but has failed to use its voice service (and search and related cloud intelligence services) to draw any commercially significant number of buyers away from iPhones or other Android partners. Google Home is an attempt to copy Amazon's recycled strategy of selling a phone assistant that isn't on a phone. But the market for such home "smart mics" is vastly smaller than smartphones; it's not large enough to make substantial profits. That's why both Amazon and Google have shifted toward tiny, ultra-cheap "mini-smart mic" offerings that sell for around $30. If you recall, that's the same direction that Android tablets headed before they imploded into a cloud of "who-cares-anymore." There are a few million Alexa speakers (mostly all in the U.S.) but a billion devices that run Siri—and they're not confined to a room but rather in everyone's pockets and on millions of wrists (in addition to CarPlay vehicles, Apple TV and on Macs) all ready for immediate use. For Apple, Siri is a convenience feature, not an attempt to break into a market it's been walled out of. Siri is already everywhere. Apple isn't trying to force people to use it, and it's not blocking Amazon or Google (or Microsoft) from putting their own smart voice-enabled services on the iOS App Store. The narrative that Apple is woefully behind Alexa or Assistant has things backward. Apple doesn't make any money off people using Siri. If voice services were a truly compelling feature in smartphone purchases, people would have bought Fire Phone and Pixel. That did not happen. Describing Apple as "behind in voice services" is a distraction away from the much larger failure of everyone else's voice service to establish a valuable smartphone platform. Amazon has worked to build an ecosystem of partners that extend the commands Alexa can recognize. However, research into how consumers actually use these devices makes it clear that those extensions are mostly a frivolous novelty. Most users only ever make a small, limited set of requests, mostly related to music playback, setting alarms and reminders, and basic information queries. Voice services are not really a driving force in selling profitable hardware. Instead, Alexa is at best a nice service that offers an alternative way to place Amazon orders, a sort of cross between using the web and using a telephone. Recall that there was recently a handwringing panic that claimed the iOS App Store was headed for doom because there were too many titles and none could possibly stand out or make any money anymore. Essentially, "nobody goes there anymore. It's too crowded." However, that narrative has proved to be totally false as apps and developer revenues have only gone up. Apple also greatly improved visibility and merchandising in the App Store in iOS 11, and other improvements can be made. Now imagine how well an App Store library would work if—rather than being an online store of downloadable apps--the platform's software existed as a series of verbal command-line features you had to memorize to effectively use. That's Amazon's Alexa platform. A few of these might be intuitive enough to be useful, but most users are not going to attempt to speak out complex requests that navigate connected voice apps. If we liked doing that, we'd be using voice menus on our telephone rather than iPhone apps. Voice interfaces are inherently frustrating and slow outside of a few things they perform very well at (the kinds of basic things people actually use Siri or Echos to do). Google's narrative backing its strategy for Home and, more generally, Assistant relies on the company's superior recognition, intent processing and search capabilities. But again, users are demonstrating that they prefer high-quality iPhone hardware running familiar iOS apps over a basic phone tied to a smart verbal assistant that tries to guess what you want before you can even ask, using everything it has collected about you. Market data unequivocally shows that virtually everyone with any money at all is willingly paying a significant premium to have an iPhone over a basic Android with Google Assistant. Last year, the exclusive feature of Google Assistant did nothing to kickstart sales of Pixel phones. 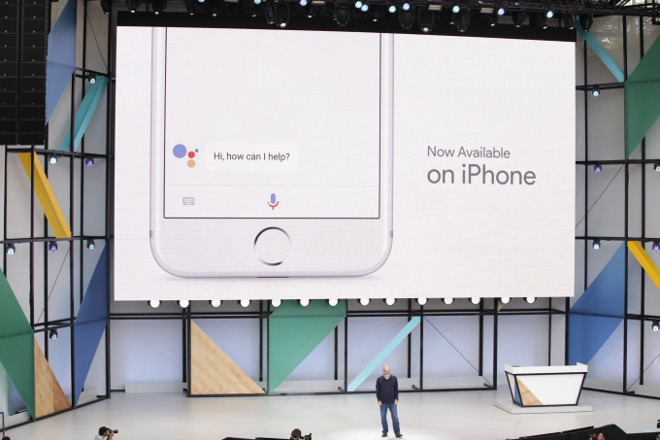 A year later, Google brought Assistant to iOS in the hope that people with money might actually use it. Imagine if one of Apple's signature exclusive strategies (such as Touch ID) had been such a slow seller of iPhones that the only way it could recoup its investment would be to offer it to Android licensees effectively at cost. How humiliating. Google Home has already "oops" been caught recording everything happening in its users' homes. Android phones—even Google's Pixel line—report their location to Google even if you try to turn location services off. People hate being spied on by Smart TVs from Samsung and LG, and they don't like the idea of being tracked and marketed to at every turn by devices that spy on them, even if its Google. The entire point of Assistant and Home, however, is to gain more access to users' lives, collect more information on behaviors and use this to market ads—basically to break down our defenses with ever more targeted and sophisticated advertising. Apple is similarly working to sell users its own products. The difference is that Apple is overtly and honestly selling its products directly above the table, while Google is actually selling users' attention to advertisers while covertly pretending to be an Apple alternative that's trying to save people money or promote freedom. This phony marketing of Google as being something other than an ad network (it makes virtually all of its money from ads, not products) is not resulting in hardware success. Unlike Amazon, Apple isn't trying to intercept buyers before they head to a retail store. Apple's happy with connecting users with either stores or online retailers; Apple Pay works for both, and iOS apps create a blurring line that serves either, or both at the same time. Apple's Siri doesn't attempt to keep people out of rival apps or stores; it seeks to help them launch apps to find whatever they need. Unlike Google, Apple doesn't have a search engine that it desperately needs to stop anyone from leaving idle. Apple would actually prefer its users go directly to apps (whether Amazon, Google, or anyone else) rather than search the generic web with Google. At the same time, Apple isn't trying to kill Google; it just signed a massive web search partnership with Google that drives billions in Apple revenues every year. That clarifies that Apple's intent for HomePod isn't just being a copy of Echo. Despite a dubious "tell-all" report for Bloomberg by Mark Gurman (the same person who likes to announce on camera how far ahead Amazon is over Apple in its Alexa voice app partnerships) that portrayed Apple's HomePod as a disjointed, incompetently run skunkworks project, the reality is that HomePod is doing something very different than Amazon. It does not appear that anyone at Bloomberg understands anything about Apple's strategy, but rather only views the company through a distorted lens of other companies' marketing nonsense. That explains why Gurman earlier insisted in 2015 that his sources had confirmed that the second generation of Apple Watch would get a low-quality camera just like Samsung's failed Gear smartwatch. This made no sense at all for many reasons but was received and propagated by other outlets as reliable news, before being forgotten. Years later, there's no camera on Apple Watch. 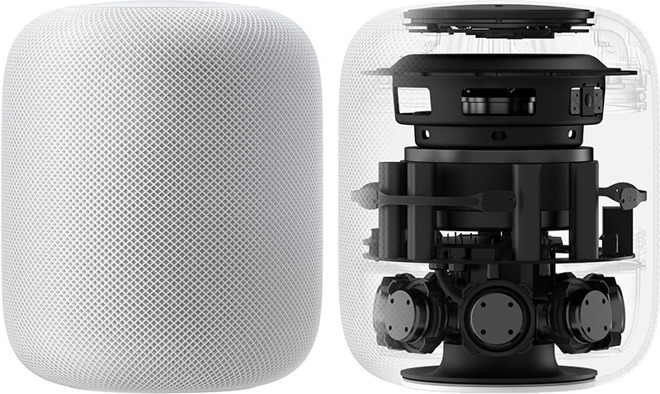 Like the original Mac, NeXT, iPhone and iPad, HomePod isn't an attempt to merely clone the status quo, but rather an effort to take very expensive new technology and make it affordable to the mass market. HomePod is the pinnacle of Apple's resurgent efforts to push advanced audio technology since its acquisition of Beats. It's not just a wireless speaker with Siri. HomePod responds to Siri commands and passes them to your iPhone for launching apps or presenting a visual answer. But HomePod isn't just a "smart mic" like Echo and Home. Primarily, It's an intelligent speaker designed to produce exceptional home audio that intelligently fills whatever space it is installed in. Products in this category already exist, but they are not made by Amazon and Google, which currently specialize in selling mostly super cheap Dot mini-mics and Chrome TV dongles that are priced below $50. Existing standalone speakers that perform sophisticated Digital Signal Processing required for dynamic auralization modeling of sound in a room are very expensive. 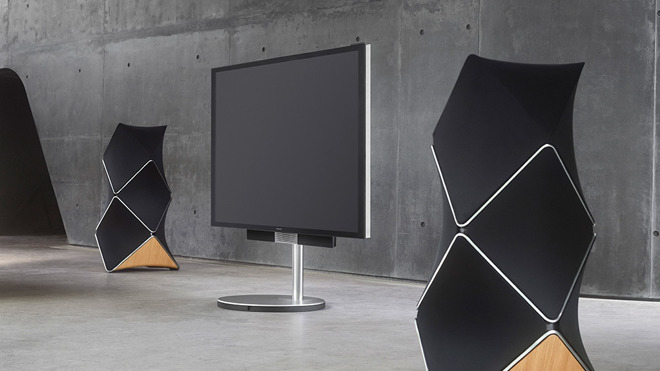 For example, B&O's high-end Beolab 90 costs $85,000 a pair, employing "18 state-of-the-art Scan-Speak loudspeaker drivers placed in carefully defined locations and directions to deliver maximum performance in frequency, time and space," using beamforming to direct sound in precise directions. The company notes, "it will not be for everybody, but it will be for the right somebody." That might remind you of the Xerox PARC graphical workstation terminals that would have cost $40,000 to buy in the late 1970s. Xerox invested in Apple to adapt its expensive technology for the mass market, resulting in the $2,495 Macintosh in 1984. Apple similarly radically scaled down the breathtaking original price of laser printing, outline fonts, WebObjects development, multitouch screens, 5K displays, 3D structure sensors and a variety of other technologies. HomePod uses a 4 inch driver with an incredible 20 mm excursion—possible because of dynamic modeling. This lets it create larger sound with far less distortion than a typical speaker. It also uses six microphones and seven beamforming tweeters to model the size and shape of the room and develop sound tuned specifically for its setting, canceling out echo and beamforming detection of your voice over playing music, all powered by Apple's custom A8 Application Processor. This isn't just a Bluetooth speaker with Siri. I had the opportunity to listen to HomePod at WWDC17. In a typical living room sized room, it produced loud, clean sound that felt immersive and rich—all from a small, fairly portable 7 inch device that you can pair with a second unit to deliver a rich, broad soundstage or separate to fill different rooms with independent streaming audio feeds, as desired. 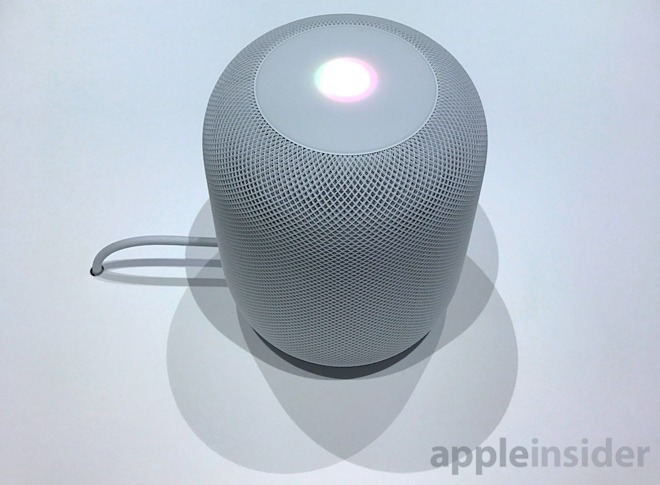 One of the samples played across HomePod was a live concert. Listening felt like you were standing at the edge of the stage, with vocals and specific instruments laid out in precise locations that you could visualize with your eyes closed. Overall, listening to HomePod reminded me of sitting in a luxury car with an incredible sound system playing an enveloping experience of audio that seemed to be coming from everywhere, not from a speaker appliance. There's a large home audio market ready for Apple to "walk right in"
It's an emotional experience, which is exactly what Apple has been increasingly pursuing as it enhances its products. Amazon Alexa isn't an emotional experience; it's an intellectual one. It's a polite conversation with a librarian who moonlights as a sales agent at an online warehouse and plays songs with the fidelity of a clock radio. Alexa can be hooked up to better speakers, including Sonos or other standalone speakers. But all of the same factors that made iPod, iPhone, iPad and Apple Watch a series of successful product launches while other premium MP3 players and phones struggled to sell (and as rival tablets and watches have gone nowhere) are lined up behind HomePod. Companies like Sonos (and Beats, formerly on its own) lack the resources to bring very expensive new active speaker technology down to a mainstream price, much the same way that Pebble, Fitbit and other smaller firms making smartwatches couldn't match the very expensive development pace of Apple Watch. 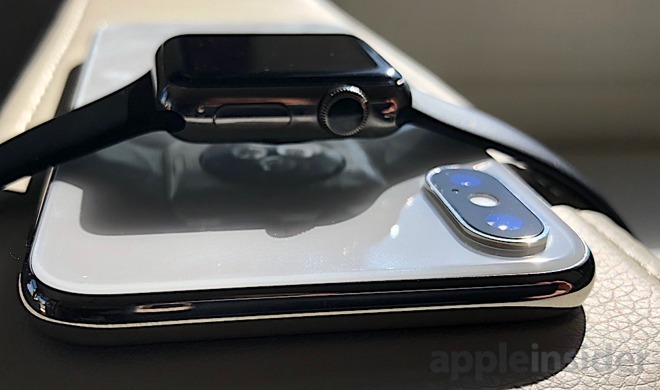 Beyond just designing and building advanced new products like Apple Watch, the company also launched major global initiatives like Apple Pay, Home Kit and Gym Kit integration, as well as eSIM LTE connectivity with carrier partners. Even major tech firms like Samsung, Sony and Motorola have been unable to launch and maintain a smartwatch project so broadly ambitious. 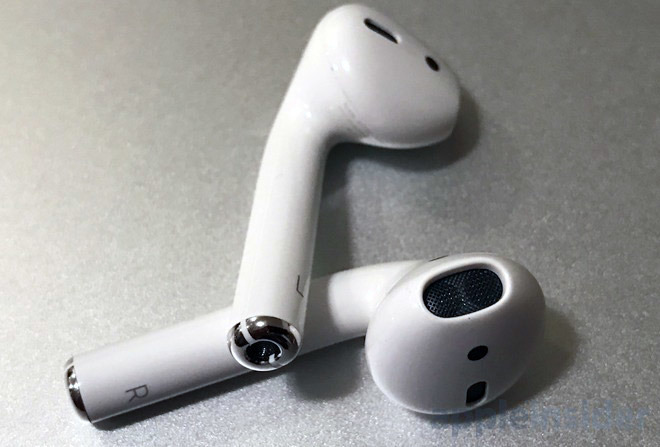 AirPods are another example of advanced new tech being developed by Apple and launched among less sophisticated (yet not really cheaper) competing wireless earphones. Over the past year, AirPods rapidly dominated the market for wearable audio, a market that nobody else really saw as being a big opportunity until Apple jumped in. Industry observers spent much of 2016 talking about how VR helmets were going to be a big deal, and how behind Apple was in delivering immersive video experiences. Then Apple launched AirPods and effectively sold millions of its immersive audio experience instead, even as VR turned out to be the biggest loser of 2016. Recall how analysts and pundits have long been insisting that Apple needs to build its own TV sets to not miss out on the important potential of smart TVs. Yet with HomePod, it's again targeting a high tech audio experience that is harder to replicate than simply selling another commodity, conventional TV screen in a crowded market. HomePod sounds fantastic in a way that's difficult to describe; the same way the first people to use a Macintosh felt in seeing six-figure advanced computing technology reduced down into a price many people of the day could afford to put in their home. Actually, the original Macintosh in today's inflated dollars would be almost $6,000, making it quite a luxury at its launch. The original $399 iPod in 2001 would be about $550 today (conversely, iPhone X would start at $716 back in 2001 dollars). When HomePod arrives next year at $349, it will similarly deliver six-figure technology at a lower price than millions of people willingly volunteered for iPods a decade ago. HomePod won't be competing against a $30 Dot. It will be providing luxurious sound for users who want to effortlessly play Apple Music in their homes, or stream any AirPlay 2 audio from their devices, whether playing iPad games or iPhone music or turning your Apple TV 4K movie into a theatrical, immersive sound experience. It's not an Echo-like "smart speaker," but more like an intelligent sound bar for effortless, exceptional home audio. Millions of people just paid $1000 or more for iPhone X. They'll be willing to pay for really great sound to go with it.